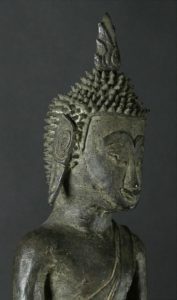 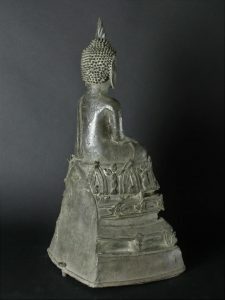 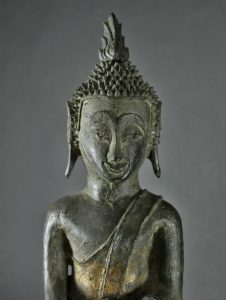 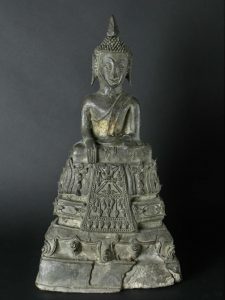 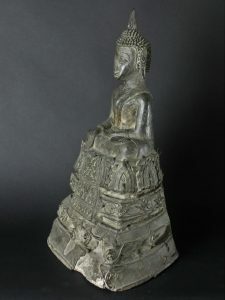 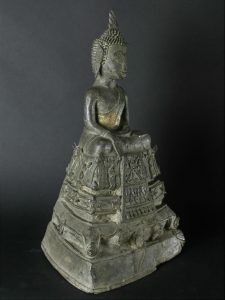 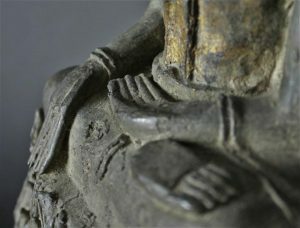 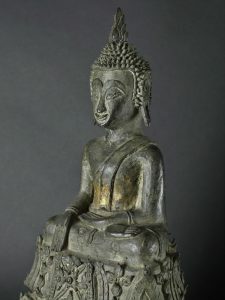 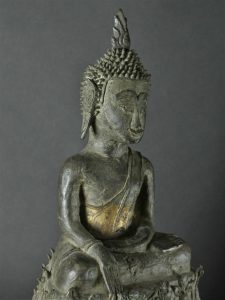 Unique One of a kind Ayuthaya period Folk Bronze Buddha 16/17th century. 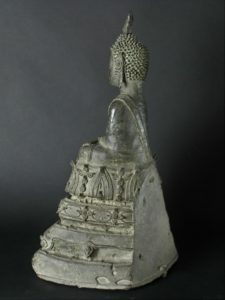 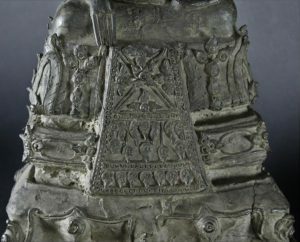 Large and in very good condition Only some bronze at the base missing. 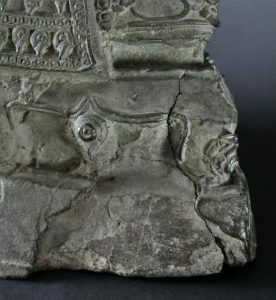 Great details and once it had an embrella. 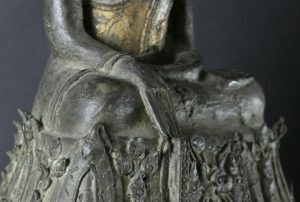 Bhumisparsha mudra. 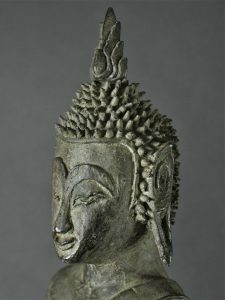 The Ushnisha is probably from later and loose.